Kindly check the attached Image, this was taken just moments ago. If you observe the Nifty Bank depth it shows an high of 30426.70 however at the time of taking this screenshot the nifty bank was trading at 30321.64. 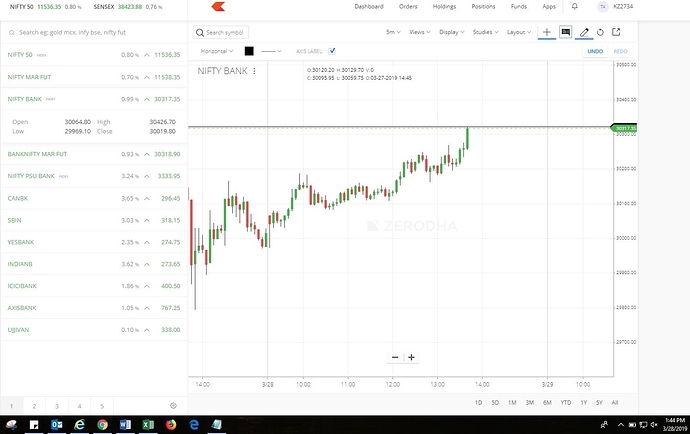 I have marked it with a Horizontal Line (Thats when i took the screenshot) the value of Nifty bank at that time was (1:44 PM) was 30317.35 which is way below than the day’s high as shown in Market Depth at 1:44 PM , 30317.35 was the highest. Kindly advise/Explain how this might have happened. Thanks for the explanation Chandru however this is nifty bank which we are talking about. BNF gets traded but nifty bank derives the value from the 12 Banks right ? ?